Under Blue Skies : What Are Emotions? Hi everyone and I hope that you have all recovered from the (potential) excesses of the Yule / Christmas / New Year period. So I thought that I would start 2017 with a repost of something that I put on my old (long retired) coaching blog. The post is called "What Are Emotions" and this may possibly resonate with my female friends although it does not only apply to women. I had intended to revive the old blog post but sadly that was not "doable" so I decided it would be simpler to amend the old post and then maybe add all the coaching posts at some future point. Emotions are a call to action! It is often said that emotions can be positive or negative. Positive emotions help you to feel good about yourself and your life, whereas, negative emotions have a tendency to create doubts, worry, fear, discomfort etc. How do you deal with your negative emotions at present? Nothing at any time MAKES you feel anything. How you feel is the result of the meaning that you attach to a situation, the logical conclusion to this is that there are no such things as negative emotions. 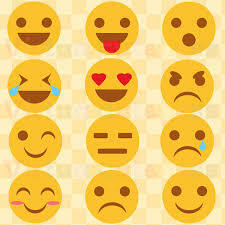 There are simply emotions - positive or negative labels are simply down to your interpretation of the events that have brought about the emotion . Now I want you to spend a few moments hoping that you will get it. Now compare those two sets of feelings – is the way you felt when you were hoping very much different from how you felt when you were certain that it was going to happen? So now let us think about the process that you went through – does the actual thing exist? No! It does not exist right here and right now and yet I know that the feelings in you were as genuine as if you were experiencing this expectation for real. 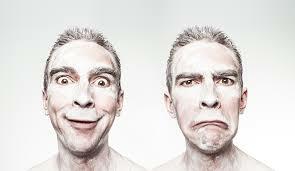 Earlier we concluded that Negative Emotions are pointers to change (Emotional Signposts). For example the emotion of Fear = get prepared, cope with or deal with. Change your perception or your procedure. What would you be willing to do to handle this emotion. What can you learn from this. 4 - Get Confident – remember when you have felt this before and got over it. What did you do? 6 - Get Excited – Take MASSIVE Action. - Kill the monster while it is little!!! Here are 10 emotions to cultivate seeds of greatness, to make life work. I hope that in some way the points raised in this post on Emotions have helped you to understand that they are your responsibility and belong to no-one else. Remember – there is not one person alive today who can make you feel anything (despite what you may believe) you are responsible for EACH and EVERY feeling you experience. If you have found this piece interesting I would love to get some feedback from you so please leave a comment in the box. It would be great if you would click the follow button over there on the right of the page and that way you won't miss out on anything. Don't Predict the Future – CREATE IT!